The longer anda stare.... 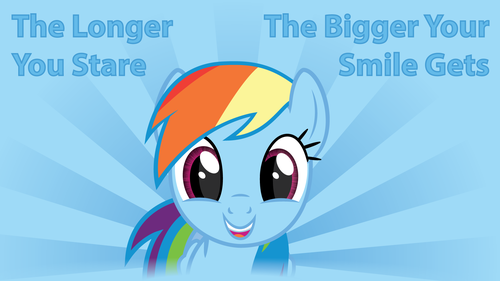 I DO NOT own this pic.. HD Wallpaper and background images in the My Little kuda, kuda kecil Friendship is Magic club tagged: my little pony friendship is magic rainbow dash. This My Little kuda, kuda kecil Friendship is Magic wallpaper might contain anime, komik, manga, kartun, and buku komik. 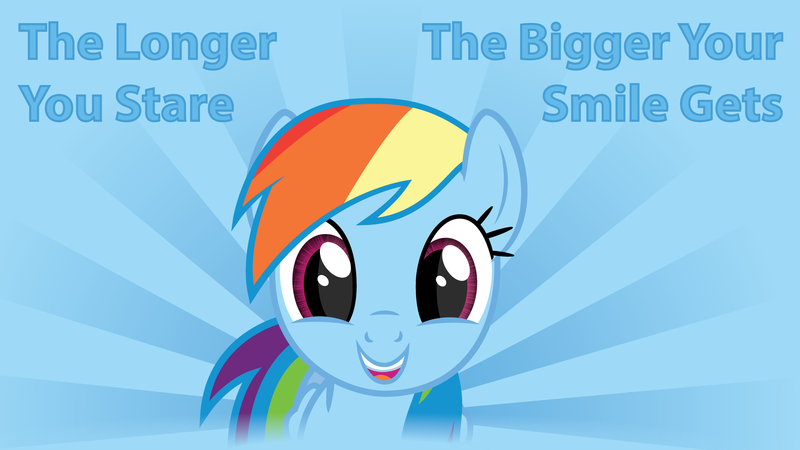 I did stare at Dash, and my smile did get bigger, only because I was blushing! which smile? mine? or dash's?